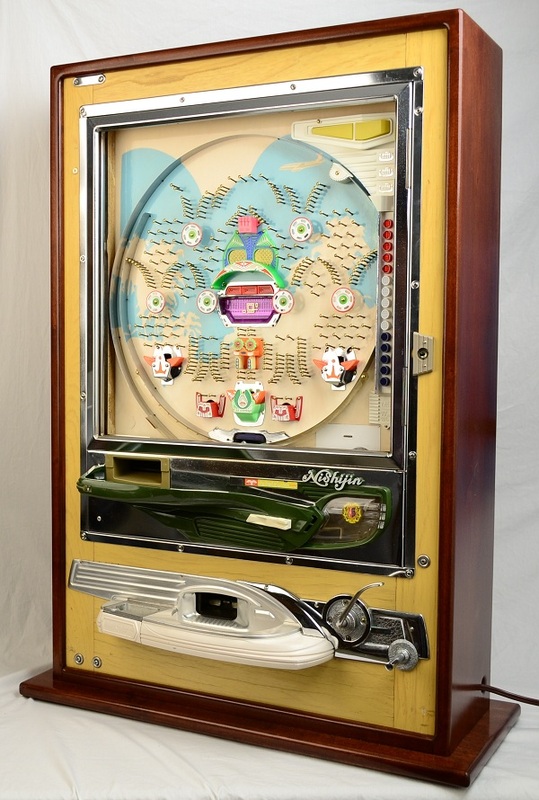 All of our restored pachinko machines shown here are available for immediate purchase, and the price includes shipping to anywhere in the continental United States. 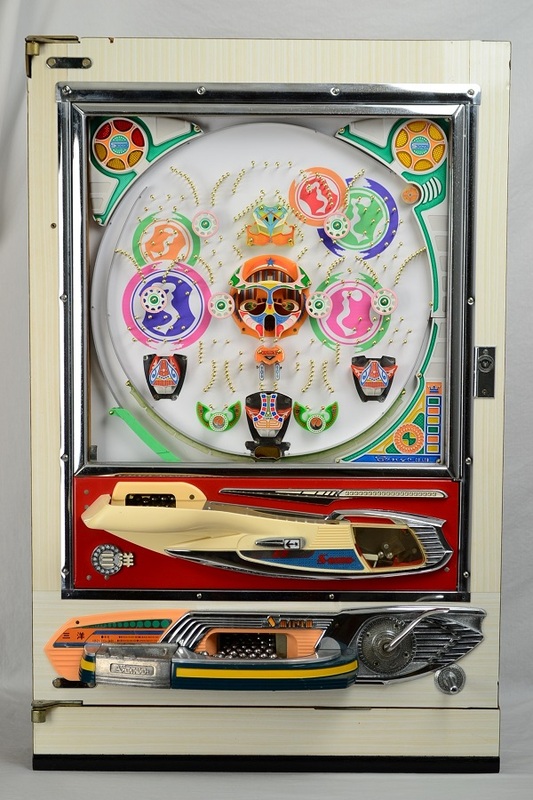 They are all authentic machines originally comissioned for and used in pachinko parlors in Japan. 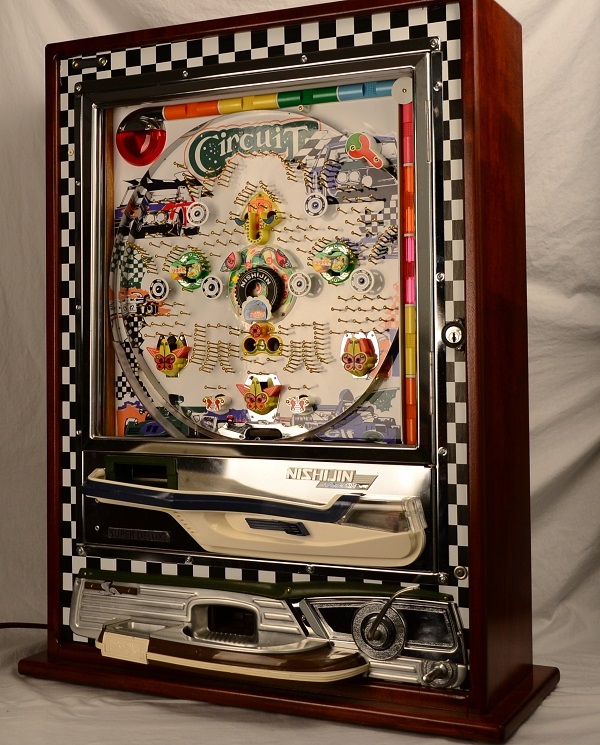 These machines have undergone intensive restoration in an attempt to bring them to as close to "new" as possible. 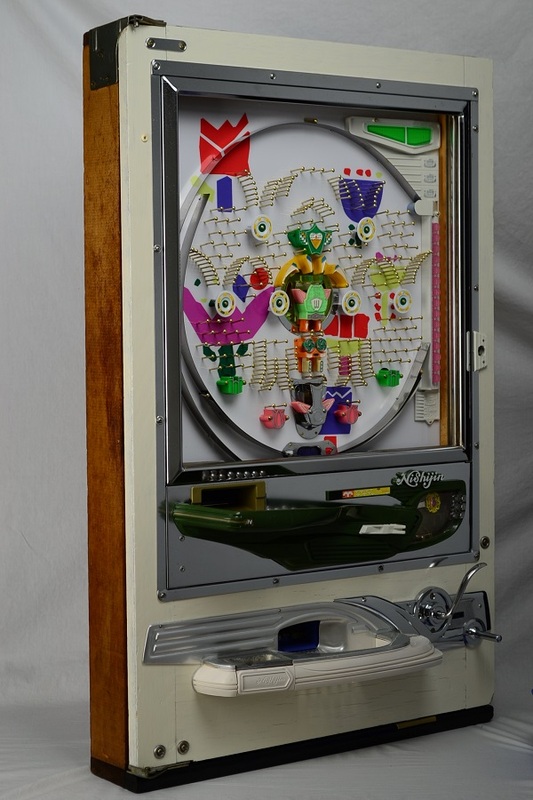 Although they are intended primarily as display pieces in a gameroom or commercial enterprise, they are fully functional when they leave our shop unless otherwise noted. 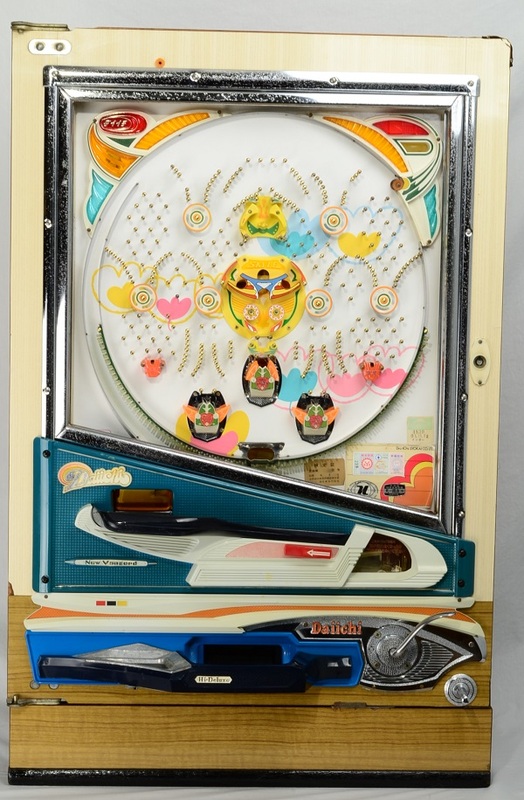 These pachinko machines are shipped without glass because regardless of efforts to prevent shipping damage the glass is almost always broken. Glass can be obtained from any of dozens of hardware chains and can be cut to order for less than $20.00. 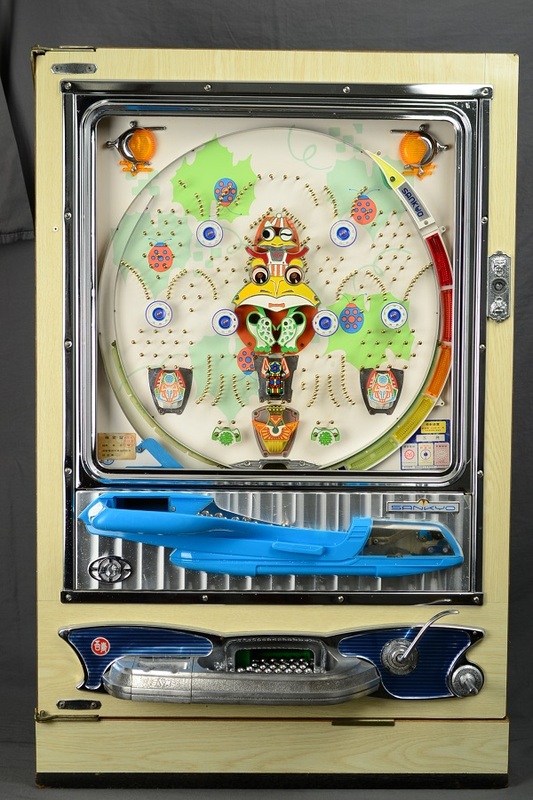 Each restored pachinko machine does ship with plexiglass installed to make them available for play or display immediately. 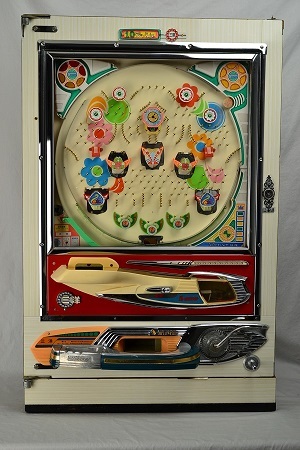 Each and every one of our restored pachinko machines is over 40 years old, and in some cases much older. They have all have been damaged in the original parlors, damaged in shipping and retailing in the United States, and suffered damage from years of use or neglect. Although we do our level best to provide the highest level of restoration available, these machines will not be perfect, and will have minor unrestorable flaws that come with with the age. 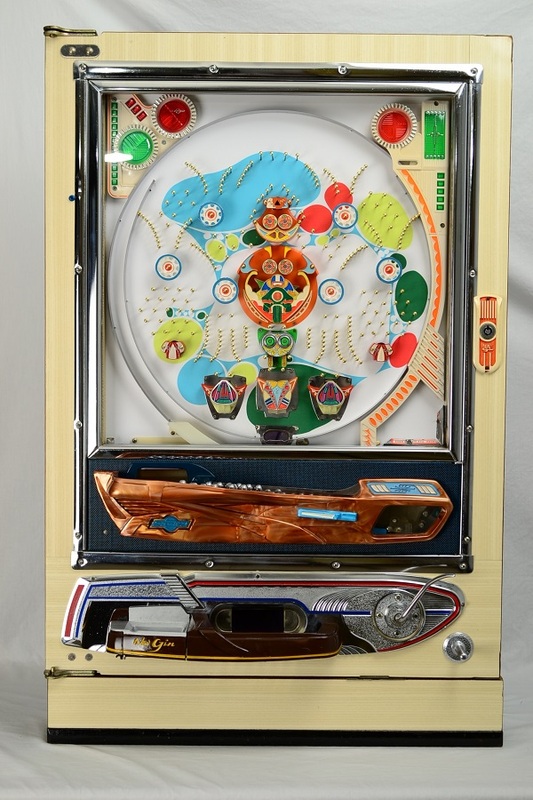 We work hard to ensure that the restored pachinko machines from Pachinko Planet are second to none. 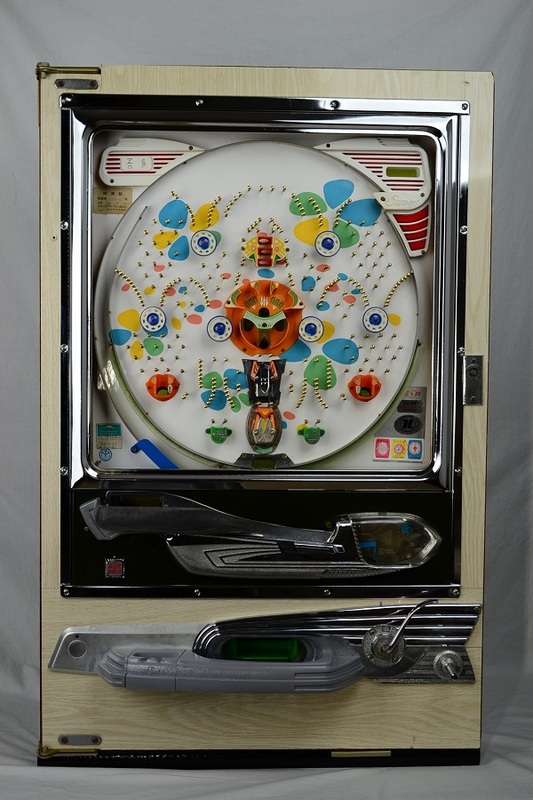 Unfortuanately, we have a no return policy on any restored pachinko machine we offer. Please feel free to email us if you have any specific questions before ordering.